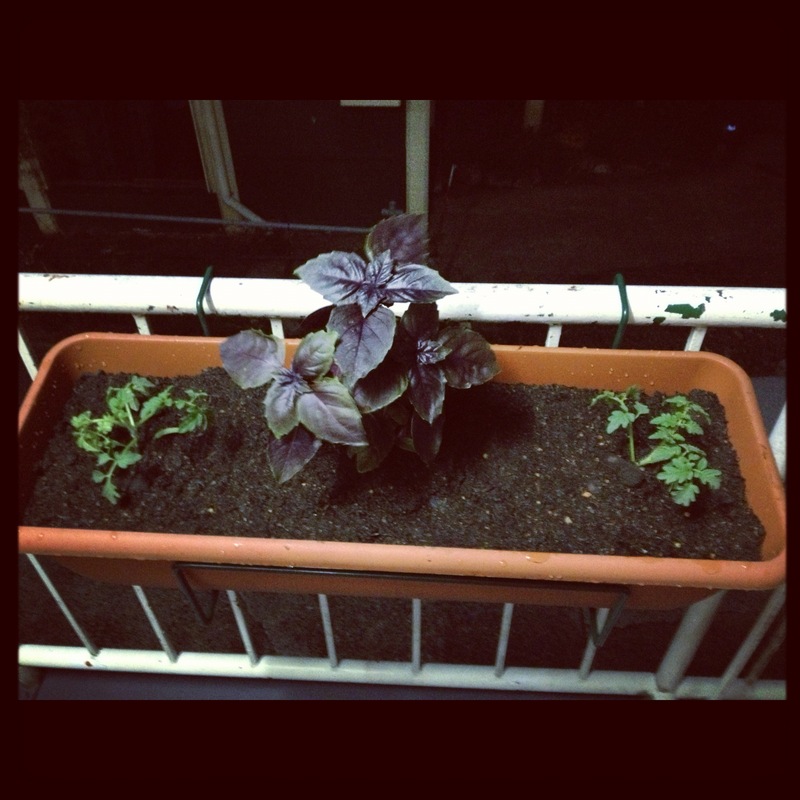 I’ve always been pretty obsessed with plants and growing my own garden, either big or small. My next door neighbour, S and I have been talking about it for some time now. And then earlier in 2012 my friend J gifted me the book – The Edible Balcony by Indira Naidoo. It’s been inspiring. But just the last week I took the book out again and really had a good read through it. The suggestions on what to grow throughout summer indicated that Basil, Tomatoes, Mint and Lettuces would be a good start. 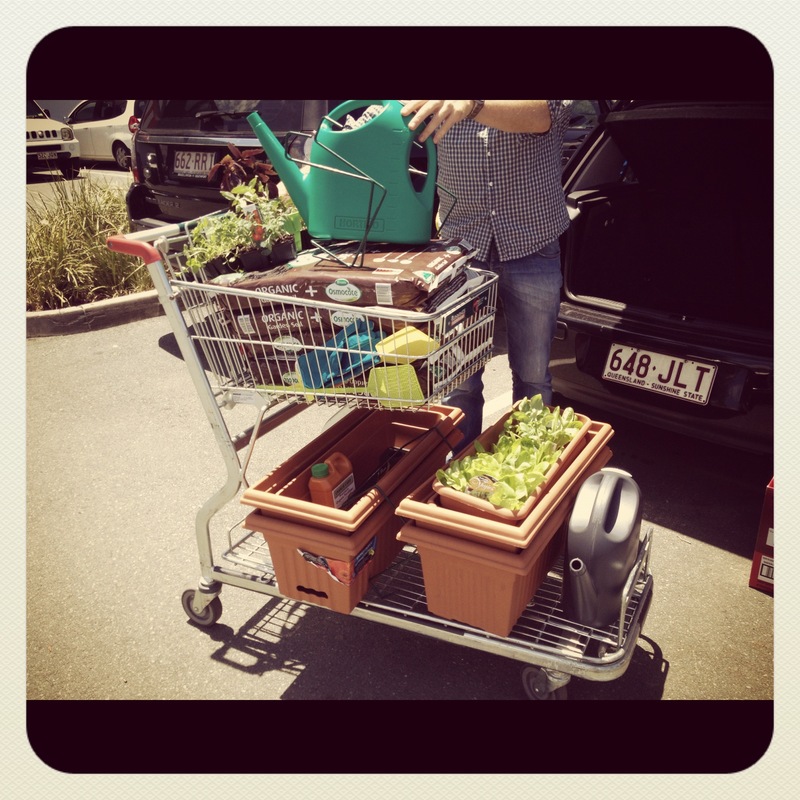 So off to Bunnings we found ourselves on Sunday morning after organic markets and breakfasting. 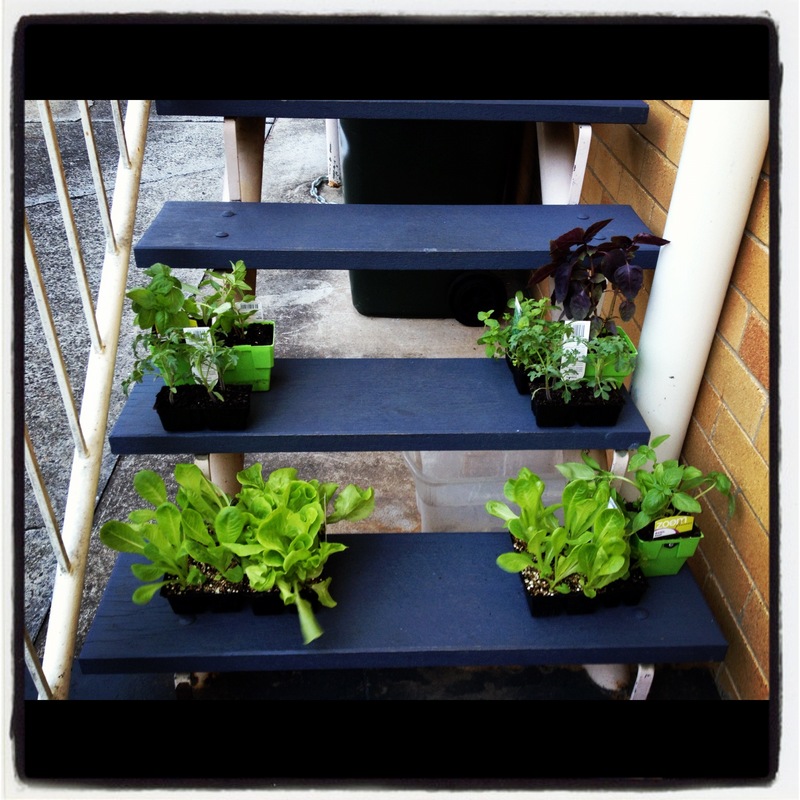 We returned with planter boxes and brackets so we could hang some of our containers off the side of the stairs, organic soil, plants, fertiliser, and tools of the trade. 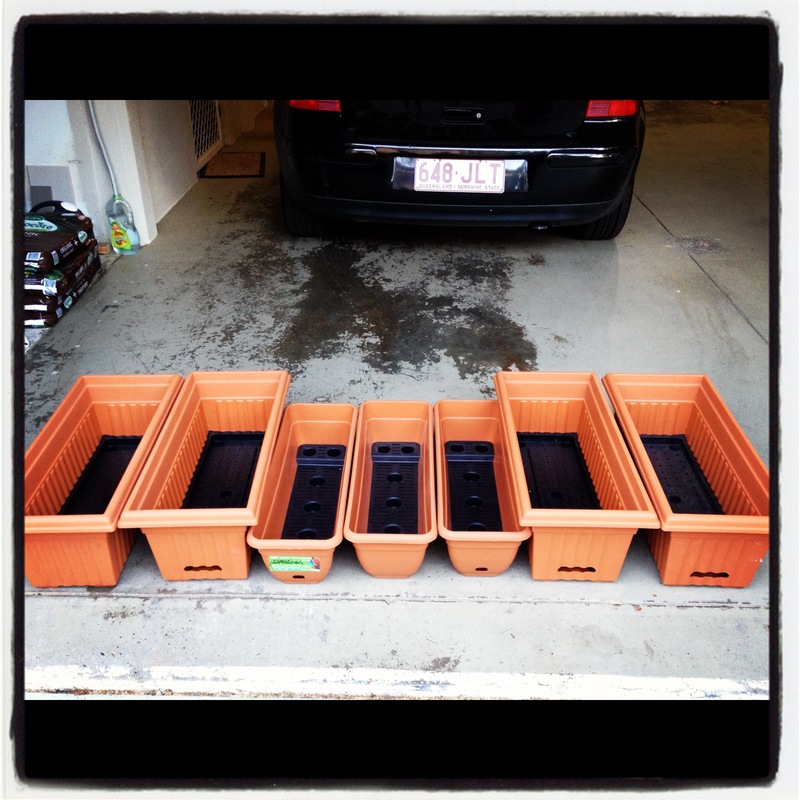 We did underestimate the amount of soil we needed, and we were short a few pots, but after a second trip to Bunnings we are set. My brother bought some pots and flowers to brighten the front of our little unit too. It’s now all planted and positioned for what we hope will be a optimum results. Let’s hope 2013 is a good year for produce! I’m super excited to see how much food we can yield!! Oh my! Thank you so much Indira!!! I have been busy trawling through all the goodies on your blog. Thanks for stopping by!